In the digital era in which all the world involved, the power of the user’s opinions and their criticism on the online platforms cannot be denied in introducing a product or a service to the wide audiences. This is also valid for the mobile apps and turning customers into brand ambassadors. Because according to the studies, while mobile users determine their app preferences, they give great importance to the opinions about the app as much as they are influenced by the opinions formed by their friends or family. Therefore, it is clear that particular importance on users’ likes should be given while introducing a mobile app. Making users use the mobile app and making them influence their friends positively about the mobile app can help you to have more effective results from many promotional activities and marketing studies. Positioning your users as the potential brand ambassadors and using this potential will help your mobile app to reach more people. Here are the tips for you to make your users happy, encourage them to use the app and turn them into a brand ambassador by gaining their loyalty. The aim of the loyalty programs should be to increase the usage time of the mobile app. So the loyalty programs and campaigns, which are planned with this goal, should have a value proposition that will benefit the users. For this, you can use the tools which will encourage users to form a loyalty bound with privileges such as different campaigns and discounts that only the users of the mobile app can benefit from. To persuade the users on interaction, make them share the contents of the mobile apps, in this way you can help them use your mobile app on the other platforms in an integrated way. Visit here for more details: how to make money with mobile app? You can improve their mobile experiences by creating contents which users want to show their social circles and are suitable for sharing on the social media. For this, you can consider the topics that will create a competitive environment and that will push to share. You can do in-app improvements to turn your current users into the brand ambassadors. However, if you want to have a user-oriented mobile app and gain the users’ loyalty, you should definitely benefit from the comments made by the users. Therefore, you should not forget that there can be people who like the function, content, and design of your app as well as who argue that your app does not satisfy their demands. Moreover, even though they make negative comments, you can take all the comments as constructive criticism and make an inference to improve the app. 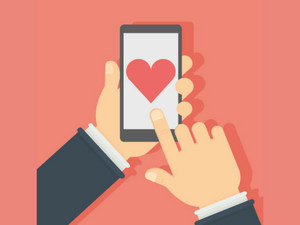 In this way, you can both make your users happy by proving that you care about their opinions and may own an app that potential users will like. It is necessary to satisfy current users to help your app to reach wider audiences. At this point, it is helpful to move by keeping in mind that every step will affect the lifespan of the mobile app. If you want to have a mobile app that mobile users will like, create your MobiRoller account now and have your seat in the mobile world as soon as possible.